What happens when something from your family's distant past comes to light - introducing a new generation to a secret. Will it change your life? Will people treat you differently? Is there a way to finally find out the truth? How can God use this to impact your world? Those are just a few things that run through Charlotte Stevensons' mind the past is brought to light while she helps clean the basement of the Bedford Community Church. As the women pour through things left in the basement, the tattered and yellowed newspaper article - published more than a century ago - appears. It implicates Charlotte's great-great-grandfather in the loss of funds intended to help finish building the church. How would you handle this happening in your world? Tricia Goyer has crafted a book centering around a secret - that comes to light in an unexpected way. In her efforts, she has created a realistic conflict, that women can relate to. Oh, "normal" secrets may not be found in a tattered newspaper clipping, but secrets - regardless of a subject - tend to find a way out of the darkness into the light. Through the struggles of the Stevenson family, Goyer shows how secrets - past or present - can impact a family. This is the second book I've read in the Home To Heather Creek Series. Since reading the first book, I've passed it along to several women in my church. At least one has said it was a simple, but nice read. Think of reading this book like you are "drinking" a cup of chicken soup. Drink in the simplicity of the story and find how God works in our lives, sometimes in the small, simple ways. Charlotte has heard stories about the incident through the years, but now it seems the past has come back to haunt her. Is it just her imagination or are people treating her differently now that they think she's descended from a crook? Will Charlotte be able to clear her family's name once and for all? Meanwhile, Sam is spending time with a new girl in town-and is keeping secrets from his grandparents about where they go. Christopher is trying to get an article published in the local paper, and Emily reluctantly partners with a foreign exchange student on a class project and eventually comes to see that they're not that different after all. As old secrets are brought to light, the whole family is reminded that the truth is often more complicated than it seems. Come home to Heather Creek. Get to know Charlotte Stevenson, who is raising her grandchildren on the family farm after a tragic accident changes all of their lives forever. With the help of her husband Bob and a close-knit circle of friends, she will do whatever it takes to keep this fragile family together. See how God, who makes the sun rise and the crops grow, watches over our lives too. Charlotte Stevenson's world is turned upside down when her daughter, Denise, dies in a tragic car accident. Denise ran away at eighteen and Charlotte has never forgiven herself. Now, Denise's children, abandoned by their father, are coming from California to live on Heather Creek Farm in Bedford, Nebraska. Note: The Home To Heather Creek Series is a multi-author series.Goyer’s first book in the series was Sweet September (book two) followed by Every Sunrise (book seven) last spring and Sunflower Serenade this summer. All Things Hidden is book 18 in the continuing story of the Stephensen family! You can find out more about the entire series, by clicking here To order just this book, rather than the complete series, call customer service at 1-800-431-2344. Want to know more about Sunflower Serenade? You can read a review and more info about Sunflower Serenade by clicking here. 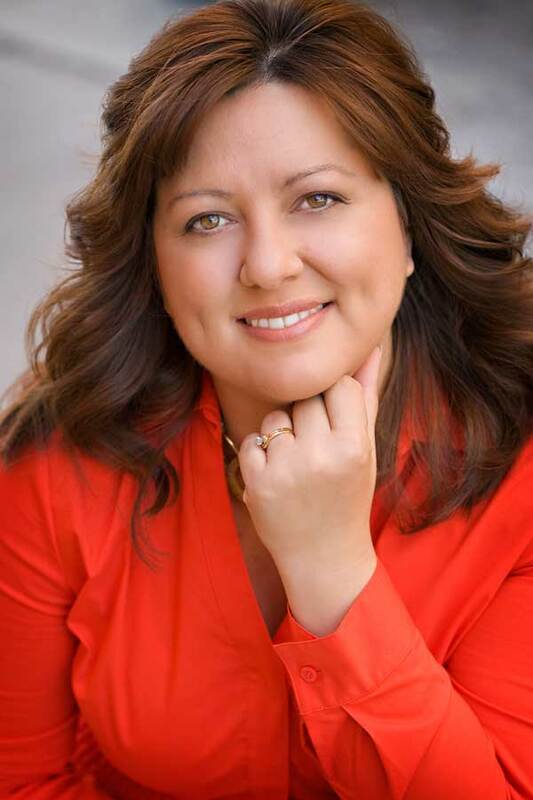 Tricia Goyer is the author of several books, including Night Song and Dawn of a Thousand Nights, both past winners of the ACFW's Book of the Year Award for Long Historical Romance. Her parenting books include Blue Like Play Dough. Her book, Life Interrupted was a finalist for the Gold Medalion in 2005. Follow this option below to be entered into a contest to win the ENTIRE set of the Home to Heather Creek books (books 1-18)! Read #AllThingsHidden by @triciagoyer http://ow.ly/14nNd! RT for a chance to win all 18 books in the Home to Heather Creek series! Want to read some other books by Goyer?